and history in GRAFTON COUNTY, New Hampshire. Grafton County is one of 10 counties in New Hampshire. The county is in the Lebanon metro area. 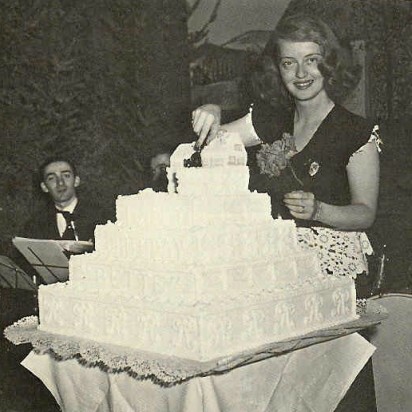 Extending far into its northern limits lies the famous White Mountain region, while in its southern and central parts, and all along the Connecticut, are a thousand scenes of storied or of unsung loveliness. Grafton County was originally known as "The Fifth," established by an act of the Colonial legislature passed March 19, 1771, in which it was made to contain "all the lands in the Province not comprehended in the other counties," (viz: Hillsborough, Rockingham, Cheshire and Strafford) its name being given in honor of Augustus Henry Fitzroy, Duke of Grafton. This act created a county which was an immense tract of land, extending south from what is now the Canada line for a distance of nearly 150 miles. This territory was divided as early as November 27, 1800, when the township of Burton [whose name was changed to Albany] was annexed to Strafford county. 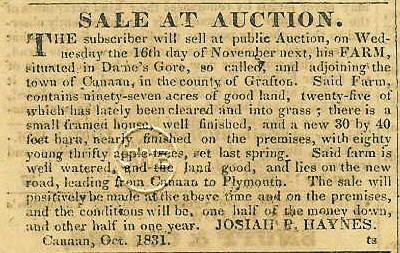 Three years later, December 24, 1803, the whole of the northern half of Grafton county was set off to form the new county of Coos, and finally on June 18, 1805, the area was reduced once again by the annexation of the whole of a tract known as "Nash and Sawyer's Location" to Coos County. After all these reductions, by an act of the legislature, passed January 2, 1829, the boundaries of the county were fixed, from which since there has been made no material change. This place's the county's 1,463 square miles of territory between 43 degrees 27' and 44 degrees 22' north latitude, and between 71 degrees 20' and 72 degrees 20' longitude west from Greenwich, bounded north by Coos county, east by Coos, Carroll and Belknap counties, south by Merrimack and Sullivan Counties, and west by the west bank of the Connecticut river, its greatest length being fifty-eight miles and its greatest breadth thirty miles. It is divided into thirty-nine towns, twenty-nine of which were granted under King George II -- eleven in the second year of his unfortunate reign, in 1761 -- and ten under the State government. 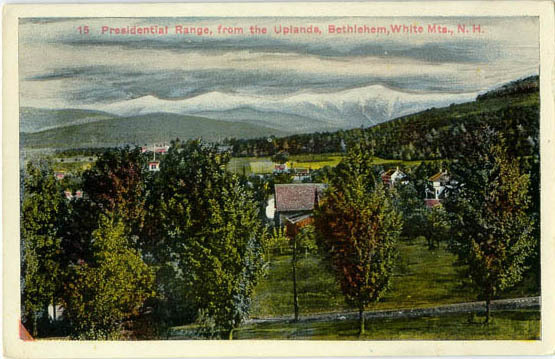 In the northern section are mountains belonging to the White Mountain range, Franconia mountains and Carrigain mountain; a little to the southwest, in Benton, is Moosilauke, towering to an altitude of 4,811 feet... while at the east and southeast is a part of the Whiteface, in Waterville, and the Campton mountains in Campton and vicinity. The southern section, though rough and broken, partkes more of a hilly than a mountainous nature. In the western section it is watered by the Connecticut and its tributaries, the largest of which are the Lower and Wild Ammonoosuc rivers, and in the norther part, and Mascoma in the southern section. The Pemigewasset and its branches water the central portion. The principal bodies of water are part of Squam Lake in the southeastern section, Newfound Lake in the southern, and Mascoma in the southwestern portion. [From "Gazetteer of Grafton Co NH, by Hamilton Child; Syracuse NY, 1886]. The county seat is Haverhill NH. - Additional photographs from Alexandria, Bridgewater, Bristol, Danbury, Groton, Hebron and Hill to be added [towns of Bridgewater, Bristol and Hill were once part of a town known as New Chester]. Three Ancient Cemeteries (tombstone transcriptions of Old Pine Cemetery, East Plainfield Cemetery, and Leavitt Cemetery) - located in Grafton county, New Hampshire, in the town of Enfield, near the boundary line that separates that township from that of Lebanon. If you are looking for town/city specific resources, click on the town's name link above the map. If you want to know about general genealogy resources (such as how to find vital records, deeds and other documents), visit the "Genealogical Research" section. 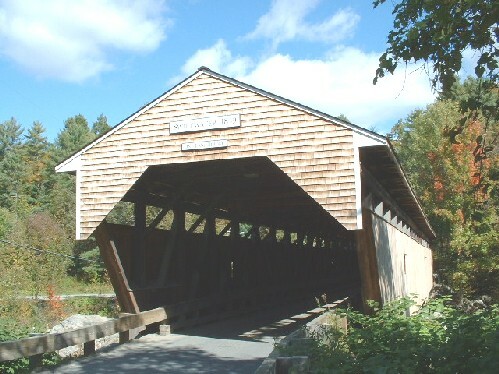 Current communities in Grafton County include:Alexandria, Ashland, Bath, Benton, Bethlehem, Bridgewater, Bristol, Campton, Canaan, Dorchester, Easton, Ellsworth, Enfield, Franconia, Grafton, Groton, Hanover, Haverhill, Hebron, Holderness, Landaff, Lebanon, Lincoln, Lisbon, Littleton, Livermore, Lyman, Lyme, Monroe, Orange, Orford, Piermont, Plymouth, Rumney, Sugar Hill, Thornton, Warren, Waterville Valley, Wentworth, and Woodstock. Brief History: First granted in 1753, Alexandria was named for Alexandria, Virginia, location of a conference that resulted in the declaration of the French and Indian War. It was incorporated as its current township in 1782. Alexandria NH was the birthplace of Luther C. Ladd, the first enlisted soldier to lose his life in the Civil War. Newfound Lake is in the northeast corner, with Wellington State Park on the western shore. The town is home to Welton Falls State Forest. Cardigan State Park, with Mount Cardigan, is in the west. Another attraction is Mount Mowglis, named for Rudyard Kipling's Jungle Book hero. 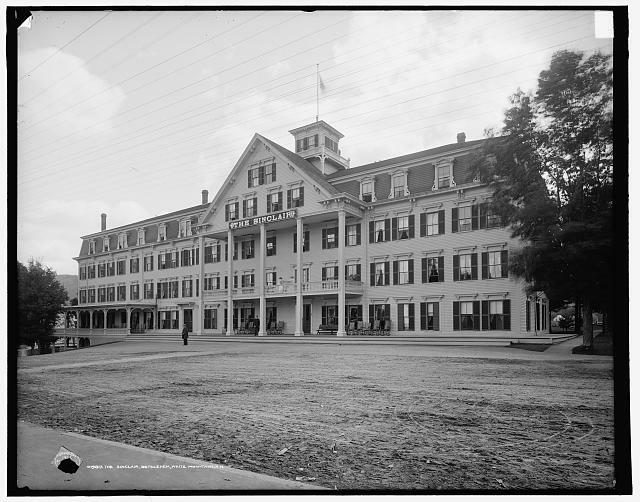 History & Genealogy: Alexandria, N.H. Some Early and Important Residents of Alexandria NH -John Moore Corliss, Corliss Family (Elihu, Daniel, Rachel), George Templeton Crawford, Timothy Haynes, M.D., Elijah Locke, Luke Sumner (PDF). Brief History: Once the southwest section of Holderness, Ashland was not incorporated until 1868. It was named in honor of Henry Clay, for his birthplace in Ashland, Virginia, and his estate in Kentucky. Ashland includes the geographic center of the state, located just west of Lake Winnipesaukee. History & Genealogy: Ashland N.H.
George Hoyt Whipple was born on August 28, 1878, in Ashland, New Hampshire, the son of Dr. Ashley Cooper Whipple and his wife Frances Hoyt. His paternal grandfather and his father, both physicians, were born and bred in New Hampshire.For this work on the therapeutic value of liver in the treatment of pernicious anaemia he was awarded, together with George R. Minot and William P. Murphy, the Nobel Prize for Physiology or Medicine in 1934.Whipples Disease is named after him. Some Early Settlers and Important People of Ashland NH including Ora Alden Brown, Person Colby Cheney, George B. Cox, Hon. Hiram Hodgedon, George Hoyt Whipple - PDF. Brief History: The charter of the town of Bath, granted in 1761, set aside land in equal shares for 68 families, with a church and a school. The town was named for one of England's prominent statesmen, William Pulteney, first Earl of Bath. Description: No Museum at this time. Call to make an appointment to see artifacts or for genealogy assistance. Bath: Photograph: John Bedel (1822-1875) - born in the Indian Stream Territory, 8 July 1822; died in Bath, NH, 26 February 1875. (His father was General Moody Bedel). He was a Union soldier in the 3rd New Hampshire during the Civil War who was captured at Fort Wagner in 1863. Bedel was brevetted Brigadier General for gallant and meritorious services. He also served in the Mexican War. After the Civil War he was a representative in the New Hampshire legislature and was several times the unsuccessful Democratic candidate for governor. Brief History: Originally granted in 1764 as Coventry, after a town in Connecticut. Renamed Benton after Thomas Hart Benton, senator from Missouri, and incorporated as such in 1840. Senator Benton was known for championing Western expansion. Benton is the site of Mount Moosilauke. Online Book: "Some Things About Coventry-Benton New Hampshire"by William F. Whitcher; Published by News Print, Woodsville, N. H. 1905. INCLUDES burials by 1905 in the follow cemeteries: High Street Cemetery, East Cemetery in North Benton NH, West Cemeter. 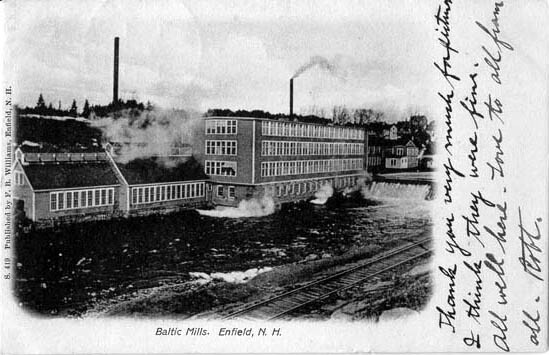 Brief History: First established in 1774 as Lloyd Hills, the town was incorporated on December 27, 1799, as Bethlehem. The name was selected on the last Christmas Day in the century. Bethlehem was the last of the provincial land grants in the state. The town is home to Mount Agassiz, named for Jean Louis Rudolph Agassiz, explorer and naturalist. Today, the town is known for its special Christmas postal cancellation stamp. Brief History: Bridgewater received its charter in 1788, when it was part of the town of New Chester. New Chester was separated into Bridgewater, Hill, Bristol, Danbury, and Wilmot. Early settlers of the area were from Bridgewater, Massachusetts, thus giving the town its name. The town line follows the eastern shore of Newfound Lake. History: Extensive deposits of fine sand or clay similar to the Bristol sand used in Bristol, England, to make fine china and pottery gave the town its name. Here the sand was used to make a superior quality brick, marketed as Bristol brick. The town was center of manufacturing in the early days for goods such as paper, leather, woolens, flannel, bedsteads, and piano stools. Bristol includes the lower two-thirds of Newfound Lake. 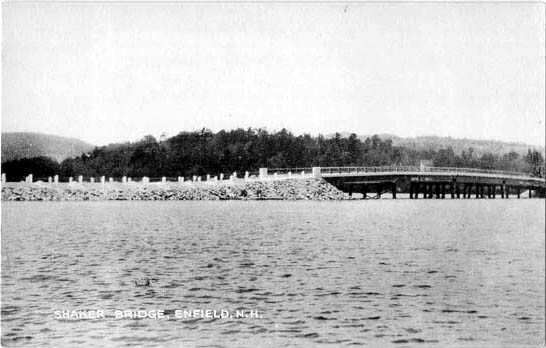 On Feburary 11, 1788, that part of New Chester (later named Hill) north of Newfound river was set off to form a new town by the name of Bridgewater. Finally, on the 24th of June, 1819 the legislature passed an act incorporating the southern part of Bridgewater and the northern part of New Chester into a new township, a small town containing only about nine thousand acres, which was given the name of Bristol. History: First granted in 1761, the town was probably named Campton by Governor Benning Wentworth in honor of his friend Spencer Compton, Earl of Wilmington. Compton was influential in Wentworth's becoming governor in 1741. Campton was the boyhood home of Sylvester Marsh, builder of Mount Washington's Cog Railway. History: Chartered in 1761, the town probably took its name from the hometown of early settlers from Canaan, Connecticut, which was named for the Biblical land. The History of Canaan, New Hampshire by William Allen Wallace (1910) - Google Books - searchable // 2nd version at internet archive: History of Canaan Part I | History of Canaan Part 2. 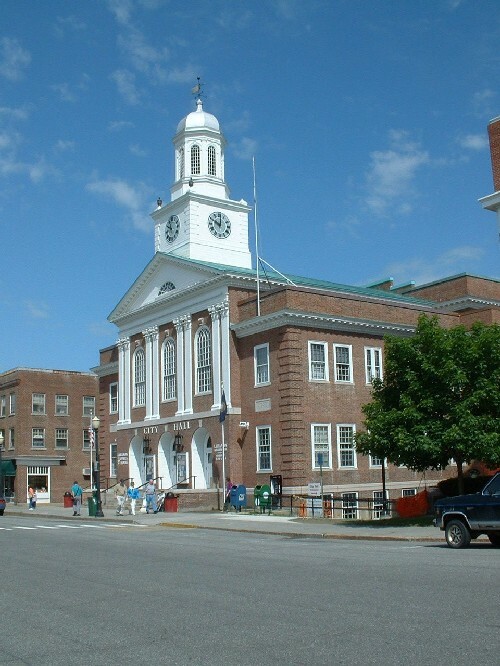 History: First chartered in 1761, the town was probably given its name in honor of ancestors of Governor Benning Wentworth, who held the titles Marquis of Dorchester and Earl of Kingston. Due to the failure of grantees to take up their claims, the town was granted twice more, once in 1766 and again in 1772, retaining the name Dorchester throughout. History: Once a part of Landaff known as Eastern Landaff, the town's name seems to be a corruption of the word Eastern and it was incorporated as Easton. Asa Kinsman was a pioneer settler of the town, and it is for him that Mount Kinsman, the Kinsman Range, and Kinsman Notch are named. 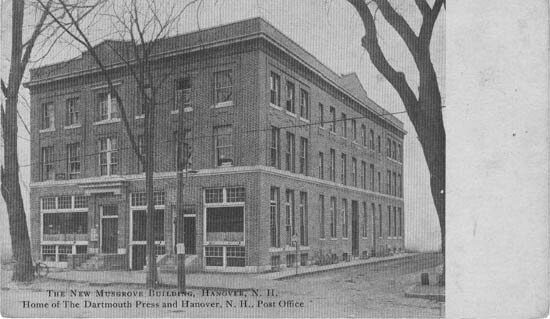 Incorporated July 20, 1876. History: Incorporated in 1769, this town was originally named Trecothick, in honor of Barlow Trecothick, Lord Mayor of London and head of the East India Company. Still only sparsely populated, the town was incorporated as Ellsworth in 1802, after Chief Justice Oliver Ellsworth of Connecticut. Justice Ellsworth was known for having negotiated the peace treaty with France that resulted in the Louisiana Purchase. In 1990 the town had a population of 74. The town is located in the White Mountain National Forest, and landmarks include Mt. 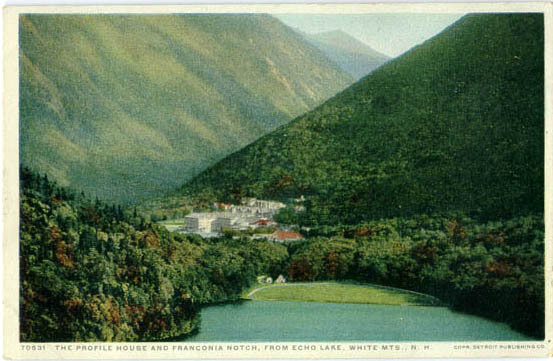 Kineo (3,320 ft/1,012 m) and W. Ellsworth Pond. History: First named Enfield by settlers from Enfield, Connecticut, the town was renamed Relhan in 1766 to honor Dr. Anthony Relhan. The doctor was a promoter of sea-bathing as a curative, making Brighton a fashionable English resort. The town was renamed Enfield in 1784 after the Revolution. 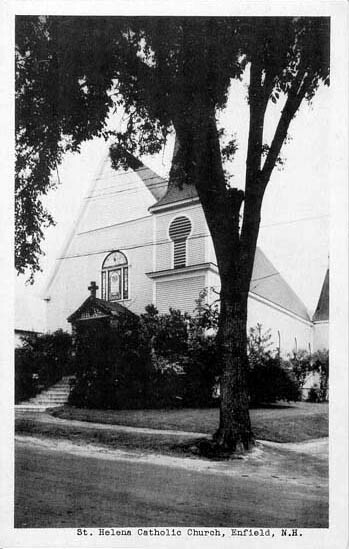 Enfield was the site of a Shaker community in the early 1800's, whose buildings are now occupied by the La Salette Brotherhood of Montreal. The Shrine of Our Lady of La Salette is well-known for its Christmas holiday display. Enfield is home to Mascoma Lake and includes the villages of Upper and Lower Shaker Village, and Lockehaven. a New Hampshire magazine, devoted to literature, history, and state progress.Published 1877 by H.H. Metcalf, Publisher in Dover, N.H .
History: First granted in 1764 as Franconia [one source states the name as Indian Head, although I cannot verify that], settlers were unable to meet the terms of charter, and it was regranted in 1772 as Morristown. 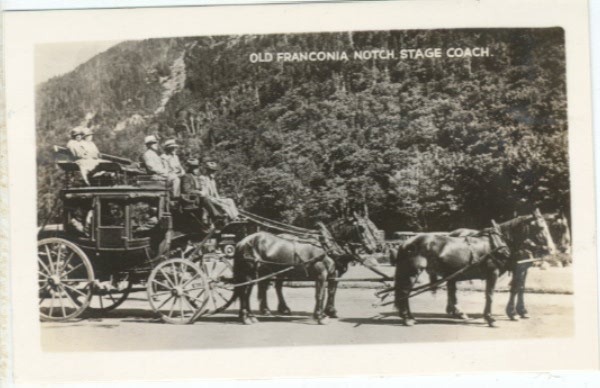 In 1782 the town was renamed Franconia, due to its resemblance to the Franconian Alps in Germany. 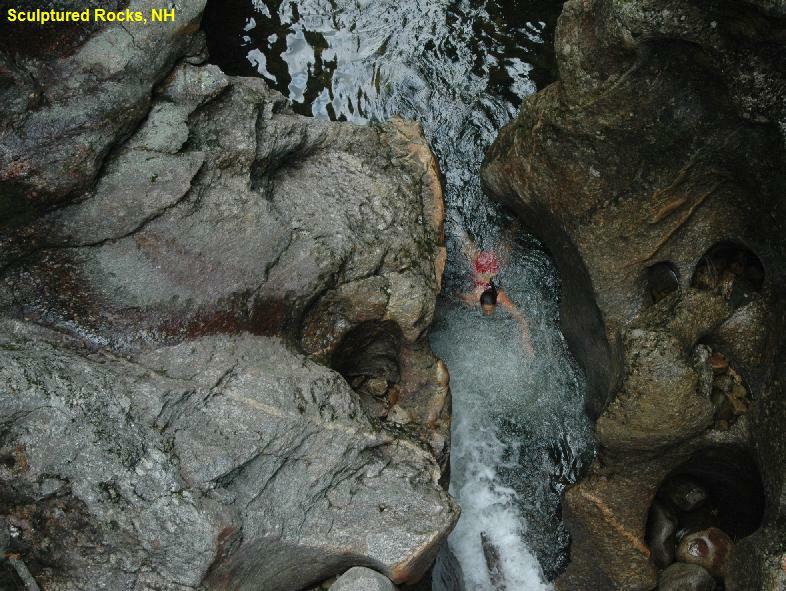 The area of Franconia Notch is well known for its natural features, including the Old Man of the Mountains; Profile and Echo Lakes, The Flume, The Basin, and Mounts Lafayette, Lincoln, and Garfield. 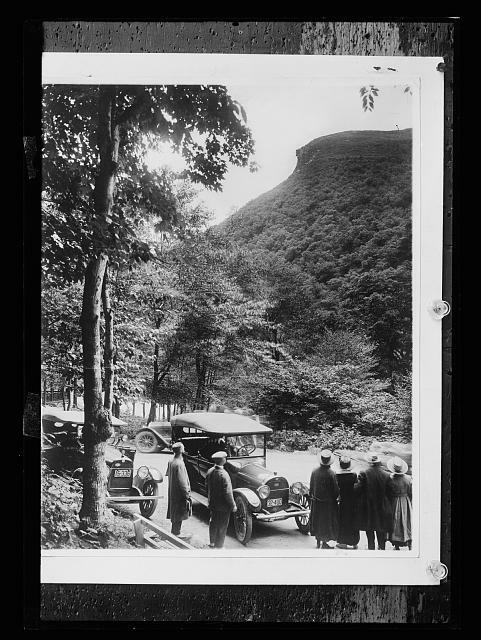 The Cannon Mountain Aerial Tramway was the first passenger tramway built in North America. Franconia is also the site of a rich iron deposit. Villages and Place Names: Mittersill, Franconia Notch, "Morristown"
History: Like Grafton County, the town was named for Augustus Henry Fitzroy, Duke of Grafton, Earl of Arlington and Euston, Viscount Thetford, and Baron Sudbury. The Duke was a pro-American member of English government prior to the Revolution, and related to Governor Benning Wentworth. First granted in 1761, the town was granted again in 1769 to new colonists, including John Hancock and James Otis, well-known Boston patriots. Grafton NH: Ruggles Mine - article about the mine, ownership, and the genealogy of the Ruggles family who first owned it. Photograph: Cyrus Adams Sulloway (1839-1917); son of son of Greeley & Betsey L. Sulloway, born in Grafton, Grafton County, N.H., June 8, 1839. Republican. Lawyer; member of Maine state house of representatives, 1872-73, 1887-93; U.S. Representative from New Hampshire 1st District, 1895-1913, 1915-17; defeated, 1912; died in office 1917. Also resided in Manchester NH; Died in Washington, D.C., March 11, 1917. Interment at Franklin Cemetery, Franklin, N.H.
History: First named Cockermouth in 1761, after Charles Wyndham, Baron Cockermouth and Earl of Egremont, who succeeded William Pitt as Secretary of State. At the time of the original grant, few grantees had taken up their claims, and the land was regranted in 1776. In 1792, a later grantee, Samuel Blood, succeeded in renaming the town Groton after his hometown in Massachusetts. 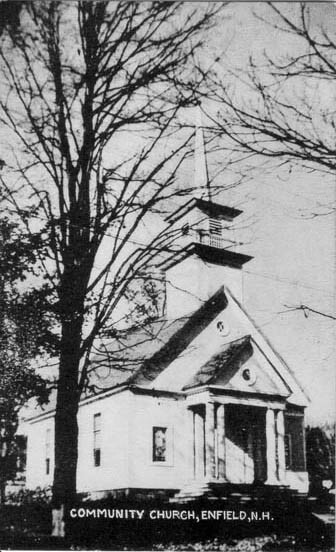 History: Granted in 1761, the town was named for Hanover Parish, home parish of settlers from Lisbon, Connecticut. Governor Benning Wentworth selected Hanover as the site of Dartmouth College, with Eleazer Wheelock, minister at Lebanon, Connecticut, as its first president. 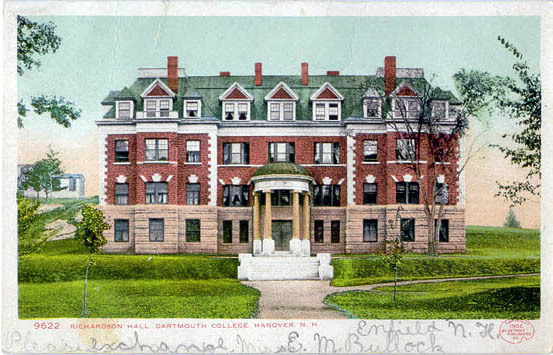 Dartmouth College's first mission was education of the Indians, and later added the mission to educate English youths to be missionaries among the Indians. Mary Hitchcock Memorial Hospital, now the Dartmouth Medical School, is also located here. Hanover includes the village of Etna, named for Sicily's volcanic mountain. 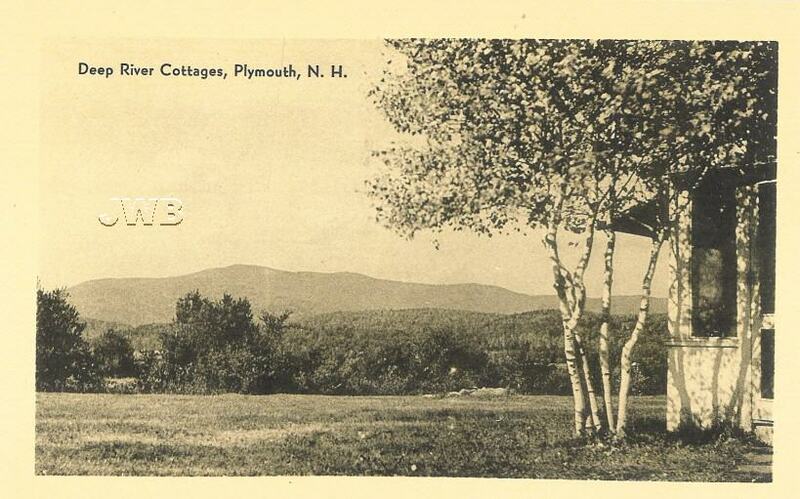 History: Settled by citizens from Haverhill, Massachusetts, the town was first known as Lower Coos. In 1773, Haverhill became the county seat of Grafton County. It was the terminus of the Old Province Road, which connected the northern and western settlements with the seacoast. The village of Woodsville, named for John L. Woods of Wells River, Vermont, was once a very important railroad center. Woods operated a sawmill on the Ammonoosuc River, and developed a railroad supply enterprise following the establishment of the Boston, Concord, and Montreal Railroad. The village of Pike was settled by future employees of the Pike Manufacturing Company, which was, for a time, the world's leading manufacturer of whetstones. History of the Pike Manufacturing Company - great photos of the entire Pike family!! History: Originally part of Cockermouth, which was separated in 1792 when that town was renamed Groton. Hebron was named in honor of Hebron, Connecticut, the native town of many settlers, just as Groton, Connecticut, was home to many settlers in Groton. The Phelps family was prominent among this group, and Samuel Phelps' father-in-law, General Israel Morey, is known as the inventor of an early steamboat. Information and Photograph: Franklin Austin Pike (1819-1886) b. Hebron NH; resided Franklin, Merrimack Co. NH; Attorney and Republican politician. He represented New Hampshire in the U.S. House of Representatives (1873-75) and in the U.S. Senate (1883-86). History: Holderness was named in 1751 for Robert Darcy, fourth Earl of Holderness, ambassador to Venice and minister at The Hague under King George III. He opposed the king's policy toward the colonies, and became a close friend of Governor Wentworth in efforts to promote friendly trade relations abroad. In 1761, the land was regranted to a group of New England families, including Samuel Livermore, who wanted to create a pretentious estate similar to that of the English countryside. 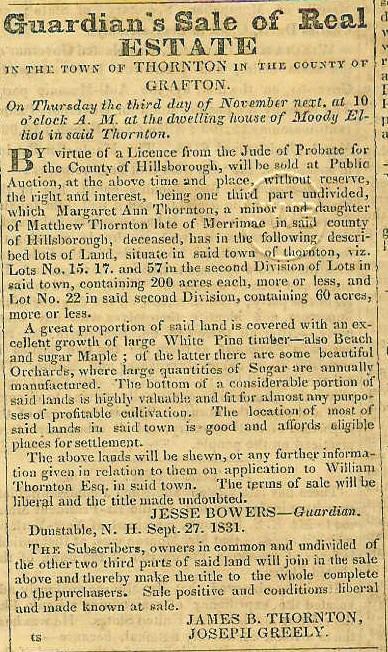 More History: In 1751 the township of Holderness had been asked for and granted. On October 15th, in that year, His Excellency, Benning Wentworth, laid before the council a "petition of Thomas Shepard and others, inhabitants of the Province, praying for a grant of His Majesty's lands of the contents of six miles square on Pemidgwasset river, to which the Council did advise and consent. Thomas Shepard's petition was signed by sixty-four persons, to whom accordingly the grant was made. The decisive defeat of the French at Quebec, in 1759, removed that terror from this region. The land was open for safe occupation. 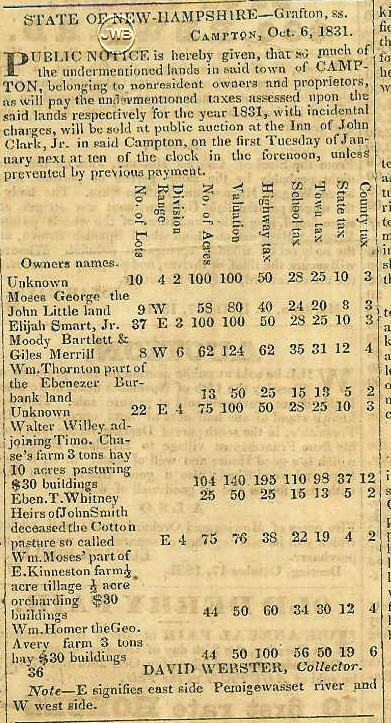 In 1761 Governor Benning Wentworth issued grants for eighteen townships. It was under one of these grants that Holderness was finally settled. It incorporates into a township a piece of land six miles square. In Holderness it amounted to eight hundred acres. The charter gave the township thus erected the name of New Holderness. The first settler of New Holderness was William Piper and his wife Susanna. She was John Shepard's daugher. John Shepard had been a ranger with Robert Rogers, and eloped with Susanna Smith. When the War of Independence came on, he purposed to remain neutral, but was arrested by overzealous patriots and put on parole at Exerter. This so altered his ideals of neutrality that on being released he prompltly donned the uniform of the British service. He was killed in action on shipboard off the Grand Menan. His daughter Susanna, on her marriage to William Piper, had her father's lot for dowry. It lay between Squam Lake and White Oak Pond, on the west side of the connecting brook. There, in 1763, they build a cabin and set up housekeeping, and thus began the actual settlement of Holderness. 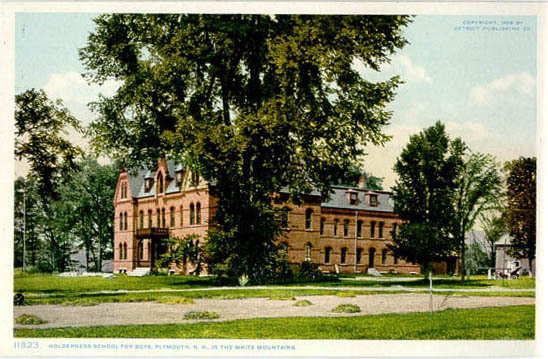 Old Postcard - Holderness School for Boys in the White Mountains - from USGenWeb Grafton Co.
History: First granted in 1764 as Whitcherville, the town was granted to some sixty colonists. 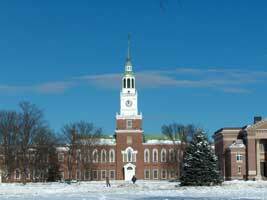 In 1770, Governor John Wentworth, discovering that few had settled their claims, proposed using the site for Dartmouth College, but when some refused to give up their claims, chose Hanover instead. The name on the town's charter is Llandaff, for the Bishop of Llandaff in Cardiff, Wales, chaplain to King George III. Brief History: The name Lebanon comes from the biblical cedars of ancient Lebanon, being the Semitic word meaning white, referring to the nearby mountain with perpetual snows on its summit. 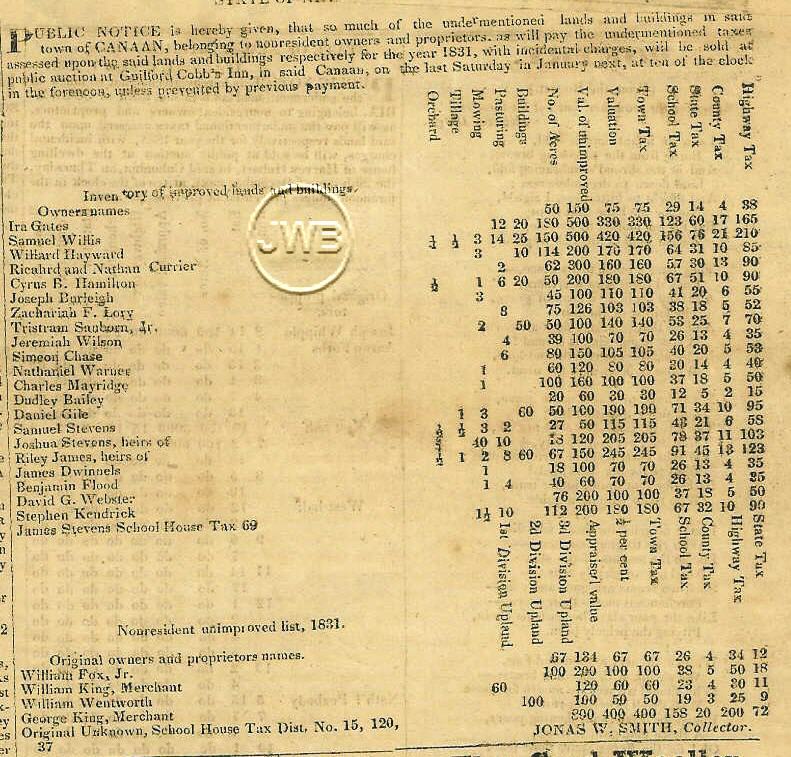 Established in 1761, the name was probably selected by the many early settlers who were from Lebanon, Connecticut, including Eleazar Wheelock, founder of Dartmouth College. Lebanon was the original home of the Indian Charity School from which Dartmouth is descended. Lebanon was incorporated as a city in 1957. History: Long before to Abraham Lincoln's birth, the town was named in 1764 for Henry Clinton, ninth Earl of Lincoln, a cousin to the Wentworths. He held the position of Comptroller of Customs for the port of London under George II and George III, which was important to trade between America and England. A portion of Lincoln, known as Pullman, was one of the earliest lumber towns. Lincoln is second-largest town in land area; only Pittsburg is larger. History: First granted in 1763 as Concord, in 1764 the town was renamed Chiswick, after the Duke of Devonshire's castle, when Rumford took the name Concord. In 1768 the town was renamed Gunthwaite after a relation of Governor John Wentworth. The name Lisbon was selected in 1824 by Governor Levi Woodbury, whose friend Colonel William Jarvis had been consul at Lisbon, Portugal. 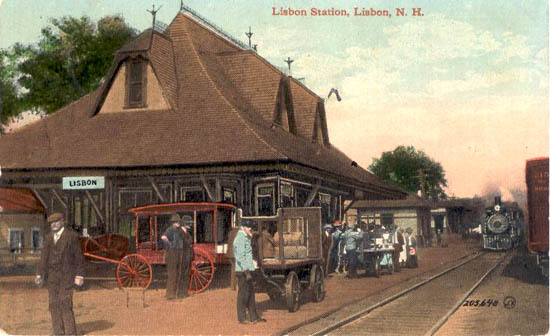 Lisbon once included land that is now part of Littleton and Sugar Hill. History: Part of Lisbon until 1770, when it was granted as Apthorp in honor of George Apthorp, head of one of the wealthiest mercantile establishments in Boston. The land was later passed to the Apthorp family's associates from Newburyport, Massachusetts, headed by Colonel Moses Little. Colonel Little held the post of Surveyor of the King's Woods, and the town was named Littleton in his honor the same year New Hampshire became a state. 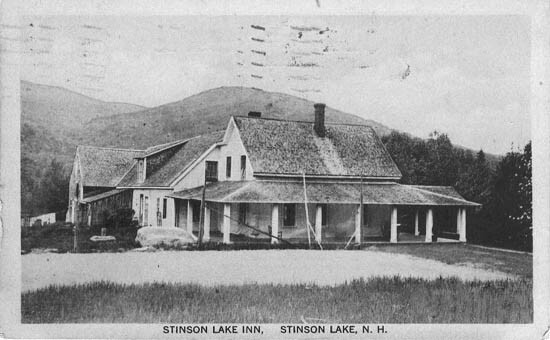 History: Established around 1876, this former lumbering community was located in Crawford Notch, the tail extension of the county in heart of the White Mountains. Midway between Plymouth and Blair, just off I-93. It was once incorporated and had 200-300 people, but was a "ghost town" by the early 1950s. The population, at the time of the 2000 census, was 3. History: Granted in 1761, the town was named for General Phineas Lyman, an active commander in the Seven Years' War with France and Spain. General Lyman was compensated for his services by grants in Lyman, Grantham, and Lisbon, and eleven towns in what is now Vermont. A section of Lyman was taken by legislature in 1854 to form the town of Monroe. History: Another of the many towns granted along the Connecticut River in 1761, Lyme takes its name from Old Lyme, which lies at the mouth of the Connecticut River. Most of the grantees were from Palmer and Brimfield in Massachusetts, or from Londonderry, New Hampshire. History: This town was first known as Hurd's Location, and then as West Lyman. It was separated from Lyman in 1854, and given the name Monroe in honor of President James Monroe, who toured the region during his presidency. Monroe contains part of the Ammonoosuc Gold Fields, extensive mineral deposits that have never been successfully mined. History: Granted in 1769, the town was first named Cardigan, for George Brudenell, fourth Earl of Cardigan. 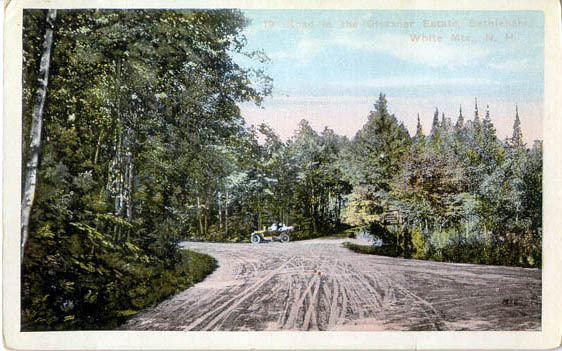 The original name is still used in Mount Cardigan and Cardigan State Park. Voters made several attempts to change the name following the Revolution, trying the names Bradford, Middletown, Liscomb, and finally Orange. Orange was probably chosen because of the large quantities of yellow-orange ochre found in Mount Cardigan. Villages and Place Names: Orange, Cardigan. History: First called Number 7 in a line of Connecticut River fort towns, this town was named for Robert Walpole, Earl of Orford, and England's first Prime Minister. An original grantee was General Israel Morey, whose son Samuel discovered a way to separate hydrogen from oxygen in water, using the knowledge to develop the first marine steam engine. The first steamboat was demonstrated on the river at Orford. History: Situated on the Connecticut River just west of the White Mountain National Forest, this town's name is taken from Piedmont in the Italian Alps, a re-spelling of the Italian Piemonte. The town is home to Lake Tarleton, which once was on the property of Colonel William Tarleton. The Colonel kept a tavern in Piermont, fought in the Revolution, was a delegate to the Constitutional Convention of 1791, and a member of the presidential Electoral College in 1804. 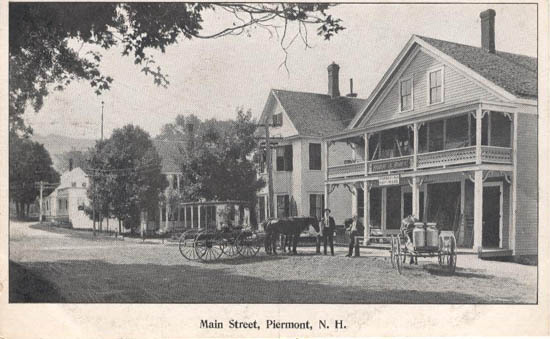 History: Part of a large plot of undivided land in the Pemigewasset Valley, this town was first named New Plymouth, after the original Plymouth colony in Massachusetts. The grant for this town went to settlers from Hollis, all of whom had been soldiers in the Seven Years' War. 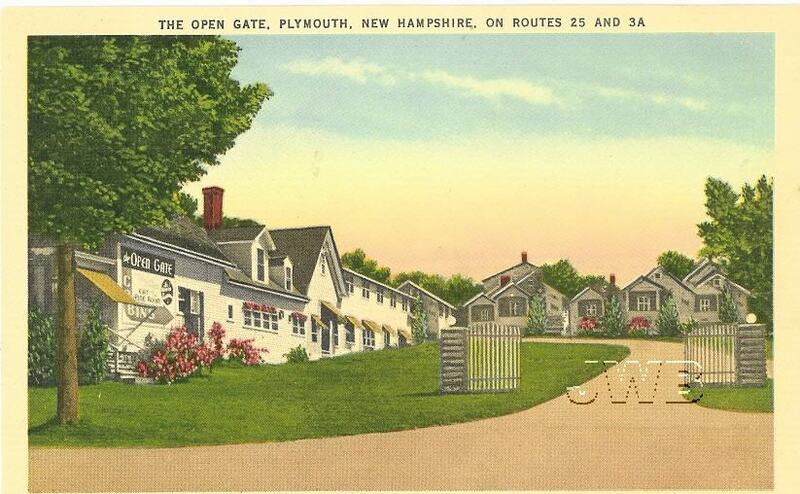 Some had originally come from Plymouth, Massachusetts. Plymouth is the home of Plymouth State University. History & Genealogy of Plymouth NH - TXT file (this site) - geography and description of the town of Plymouth NH; church history; list of original grantees of the town (in 1763); early settlement of the town; villages; business, manufactures and hotels; Plymouth citizens during the American Revolution; biographies and some genealogies of early settlers and prominent citizens (and their families) of Plymouth NH including: Winthrop Welles, Joseph Reed, William George, Dr. Samuel Rogers, Moor Russell, Peter & James McQuesten; James Langdon, John Keniston, Stephen Bartlett, Solomon Bailey, Jacob Merrill, Nathan Penniman, Enoch Ward, David Hazelton, Judge Samuel Emerson, Aaron Currier, Daniel Wheeler, William Hull, Hon. James A. Dodge, Jonathan Hull, William Blodgett, Elbridge Blodgett, Benjamin Ellis, Gen. Cyrus Corliss, Capt. Ephraim Green, Hiram Merrill, Gilmore Houston, William Harriman, Hiram Philbrick, Harrison Philbrick, Thomas Clark, Manson York, Eugene Sullivan, ELijah Smith, Hazen Smith, Eben Smith, Benjamin Smith, John Chandler, Cyrus Sargeant, Nathan Weeks, Edgar Merrill, Alexander Smyth, Kimball Whitney, Hon. Manson Brown, Chase Calley, George Colby, Dr. Enos Huckins, Harmon Sargent, Walter Sargent, Smith Rowe, Roland Avery, Imogene (Thomas) Field, Jesse Sanborn, William Park, Dr. Haven Palmer, George Brown, Henry Cummings, George Garland, William Welch, Lewis Grant, Robinson LeBarron, Alonzo Morse, John Berry, and George Cook. [SOURCE: Gazeteer of Grafton County NH, 1709-1886, compiled and published by Hamilton Child; Syracuse NY, The Syracuse Journal Company, Printers and Binders, June 1886]. Plymouth NH: Photograph - Old Grafton County Court House - This is the New Hampshire courthouse where Daniel Webster argued his first legal case in 1806. Webster would become one of the greatest orators in America, arguing cases before the U.S. Supreme Court and serving as a U.S. congressman, senator, and secretary of state; later used as the library, and then owned by the Plymouth Historical Society. History: This town is New Hampshire's youngest, incorporated in 1962. After considerable litigation, it was carved out of Lisbon to be an independent voting unit. The name Sugar Hill comes from a large grove of sugar maples in the hills. History & Genealogy of Rumney NH - TXT file (this site) - geography and description of the town and villages; description of the town in 1885; businesses and manufactures; history of churches; settlement of the town and early settlers; biographies and brief genealogiest of early settlers and prominent residents (and their families) including those of Nathaniel Abbott, Jonathan Hall, Henry Hall, Henry Hall (2d), Oliver Spaulding, Abraham Burnham, James Hebert, Daniel Smart, Josiah French, George Simpson, Samuel Simpson, Dr. Daniel Darling, Daniel Elliott, Joseph Keyes, Unite Hutchins, Joseph Sanborn, George Rogers, John Dearborn, Milton Holden, James Swain, Charles Spaulding, George Spaulding, Charles Bunker, Blaisdel Merrill, Robert Merrill, Frederick Glover, Richard Clark, Frederick McIntosh, Reuben Robie, ALonzo Avery, Gardner Avery, Hiram Farnsworth, Oliver Doe, Clinton Preston, Israel Hardy, Jeremiah David Colburn, David Keniston, Rev. 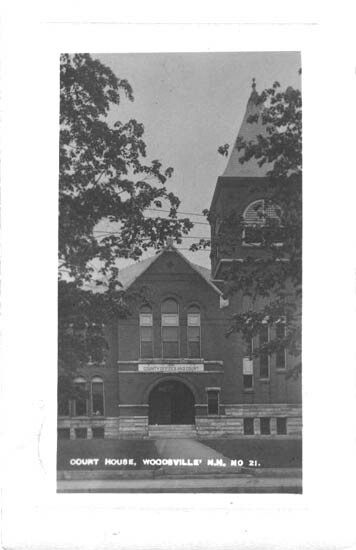 King Solomon Hall, Charles Craig, Dr. Ai Russell, Charles Davis, John Peppard, Charles A. Chase and others. [SOURCE: Gazeteer of Grafton County NH, 1709-1886, compiled and published by Hamilton Child; Syracuse NY, The Syracuse Journal Company, Printers and Binders, June 1886]. History: Chartered in 1763, this town was named for Dr. Matthew Thornton, a grant given to him in return for his service as surgeon in the Pepperell expedition. Dr. Thornton, whose practice was in Merrimack, was one of the signers of the Declaration of Independence, a justice of the Superior Court, speaker of the House of Representatives, member of the State Senate, delegate to the Continental Congress, and president of the state following the Revolutionary War. History of the Town of Thornton NH - TXT file (this site) Geography of the town of Thornton, NH; early land and boundary disputes; description of the town in 1885; description of villages; early business and manufactures; signers of the petition for incorporation of the town; prominent citizens and early settlers (biographies and some genealogy) including: Winthrop Bagley, Jacob Lelingham, Elijah Durgin, Ebenezer Foss, Moses Foss, A.H. Kendall, and Isaac Mitchell - [SOURCE: Gazeteer of Grafton County NH, 1709-1886, compiled and published by Hamilton Child; Syracuse NY, The Syracuse Journal Company, Printers and Binders, June 1886]. History: Granted in 1764, this town was named in honor of Admiral Sir Peter Warren. Admiral Warren commanded the fleet during the conflict with Canada, ending in the capture of Louisbourg, Nova Scotia, in 1745. This action united the colonies with a common goal, and provided them with fishing and fur trading rights. Warren is the site of a state fish hatchery, and includes the village of Glencliff. History & Genealogy of Warren NH - TXT file (this site): Geography and description of the town and its villages; business and manufactures; early settlement; church history; "firsts" in the town; the first town meeting and officers; participants in the Civil War; biographies and brief genealogies of early settlers and prominent citizens, and their families including those of: Abel Merrill, Nathaniel Merrill, Amos Little, James Dow, Enoch Weeks, Luke Libbey, Thomas Boynton, Joseph Farriman, Ward Batchelder, James Knapp, Benjamin Warren, Daniel Clark, and Jeremiah Jewett. [SOURCE: Gazeteer of Grafton County NH, 1709-1886, compiled and published by Hamilton Child; Syracuse NY, The Syracuse Journal Company, Printers and Binders, June 1886]. 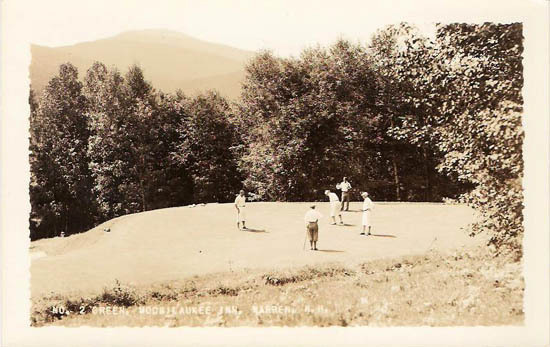 History: First settled in the 1760's, Waterville Valley has long been a popular New Hampshire resort area. 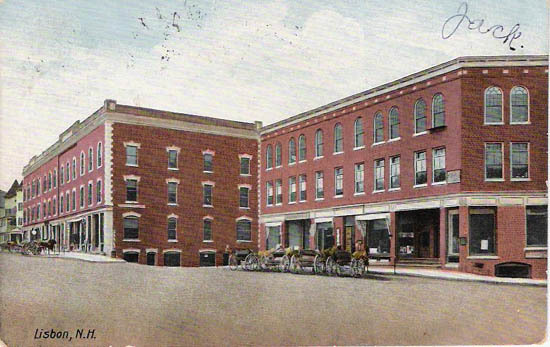 Incorporated in 1829 as Waterville, it was a thriving town, but lost population over the years and then lost land when the White Mountain National Forest was established. In 1967, by an act of the General Court, the town officially adopted the name Waterville Valley. The town is home to the Waterville Valley Ski Area. History: First chartered in 1766, this town was originally reserved for the private use of Governor Benning Wentworth. 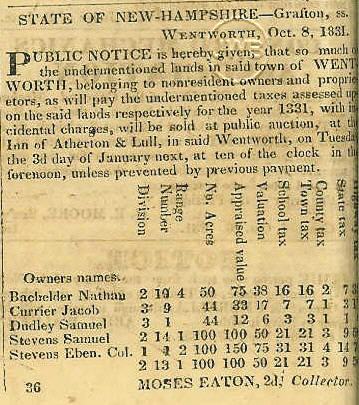 When John Wentworth succeeded his uncle as governor, one of his first acts was to grant the tract to a group of settlers, naming it Wentworth in his uncle's honor. Most of the new colonists came from Salisbury, Massachusetts. Wentworth is in the Baker River Valley near Carr Mountain. History & Genealogy of Wentworth NH - TXT file (this site) - Geography and description of the town of Wentworth NH; description of the town, and villages, in 1885; business and manufactures; settlement of the town; biographies and genealogies of early residents and prominent citizens and their families, including those of: Ebenezer Gove, Uriah Colburn, Jeremiah Smart, Isaac Clifford, the Smith Family, Samuel Currier, Samuel Moore, John Foster, and Moses Knight. [SOURCE: Gazeteer of Grafton County NH, 1709-1886, compiled and published by Hamilton Child; Syracuse NY, The Syracuse Journal Company, Printers and Binders, June 1886]. History: First granted in 1763, Governor Benning Wentworth named the town Peeling after an English town. Many of the first colonists were originally from Lebanon, Connecticut. In 1771, Governor John Wentworth gave it the name Fairfield, after Fairfield, Connecticut. The town was renamed Woodstock in 1840, after the town of Woodstock, England. History & Genealogy of Woodstock NH - TXT File (this site) -- Geographical description of the town of Woodstock NH, description of town in 1885; brief church history; business and manufactures (1885); villages; settlement of the town; genealogies and biographies of early settlers and prominent citizens, and their families, including: Benjamin Barron, Thomas Pinkham, Jacob Demeritt, Symmes Sawyer, and Moses Boynton [SOURCE: Gazeteer of Grafton County NH, 1709-1886, compiled and published by Hamilton Child; Syracuse NY, The Syracuse Journal Company, Printers and Binders, June 1886].